15 Jun 17 - New Zealand’s claims that its commercial fisheries are sustainably managed are under fire from international scientists. 16 Feb 17 - Scientists at Ghent University in Belgium recently calculated that shellfish lovers are eating up to 11,000 plastic fragments in their seafood each year. 9 Dec 16 - Georgia fisherman Wynn Gale lifts a massive net over his boat, where it bobs and bounces when it hits the deck. That’s because it’s not filled with the rigid bodies of shrimp or fish, but thousands of jellyfish. 28 Oct 16 - New Zealand's seafood industry is threatened by an increasingly acidic ocean caused by climate change, a new report is warning. 8 Jun 16 - New Zealand is one of 29 countries to sign a groundbreaking international accord aimed at stamping out illegal fishing. 18 Jan 16 - New Zealand’s largest Mâori-owned fishing group says it’s worried that recreational fishing parks and marine reserves will affect Maori fishing rights. 12 Oct 15 - Examining the best ways to minimise the by-catch of protected species in fishing operations will be the subject of PhD research by a Victoria University graduate who has been awarded a Commonwealth Scholarship to study at the University of Oxford. 5 Oct 15 - New Zealand will push for greater protection of high-seas fisheries at an international conference in Chile this week. 14 Sep 15 - New Zealand will spend $50 million over three years to support the transformation of the Pacific fisheries sector. 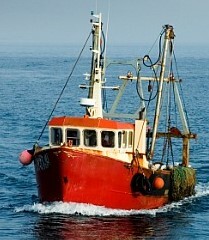 24 Aug 15 - The Quota Management System for fisheries is to be reviewed. 2 Jun 15 - Consultation on new proposals to manage the blue cod fishery in the Marlborough Sounds start today. 16 Feb 15 - New Zealand orange roughy exports are accelerating as catch limits of the deepwater fish, once a poster child for bad fisheries management, increase amid confidence about improving stocks. 15 Dec 14 - New Zealand needs to put more effort into protecting long-fin eels, or tuna, says the Parliamentary Commissioner for the Environment. 20 Oct 14 - A technique allowing wild fish to be landed live – and released if necessary – has won the supreme title in the New Zealand Innovators' Awards. 13 Oct 14 - Fish stocks could migrate up to 26 kilometres a decade as the world’s ocean warm. 11 Aug 14 - Research has highlighted the negative effect acidification of oceans can have on marine life, but now fishing communities are waking up to the big threat it poses to their livelihoods.